Amazing facts about QC – CHUBIBO! 1.) Quezon City is the most populated city in the Philippines with a population of 2.67 million people making it the largest city in the country in terms of population. it is also the largest city in Metro Manila in terms of land area. 2.) The largest shopping mall in the Philippines and the 3rd largest in the world is the North EDSA SM Mall – located along EDSA in Quezon City. 3.) The city, which was named in honor of Manuel Luis M. Quezon, the first president of the Philippine Commonwealth. The city was the Philippine capital from 1948 to 1976. 4.) Several small towns were combined to create the city which include Balintawak, Novaliches and San Francisco del Monte. 5.) Batasang Pambansa Complex, the seat of the country’s House of Representative is located in Quezon City. 6.) Two of what’s considered as the best universities in the Philippines are located in Quezon City – Ateneo De Manila University main campus and the University of the Philippines in Diliman, Quezon City. 7.) 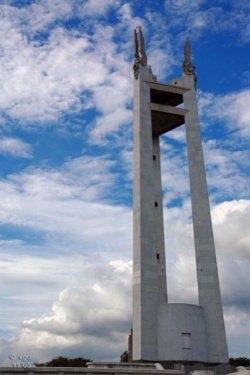 Manuel Quezon, the country’s first Philippine Commonwealth president was buried at the Quezon Memorial Circle. This famous landmark is 55 meters in height – equivalent to the former Philippine president’s age when he died. 8.) The country’s biggest television networks – GMA-7 and ABS-CBN, are located in the Quezon City. 9.) Although Quezon City is more than four times the size of Manila, nearly six times the expanse of Makati, and more than 14 times bigger than Mandaluyong… its leader is totally devoid of class, taste and style. 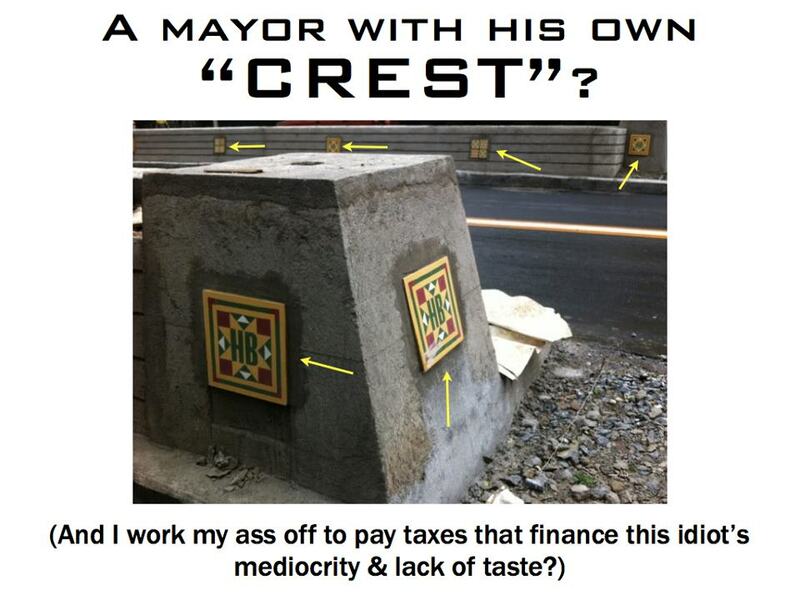 His idea of a brilliant campaign strategy is to plaster every available space in the city with his initials. I understand your sentiments which I feel for the current president of this country!